Global Pathways pursues our mission through hosting the annual Western Pathways Conference, being a leader in the National Coalition for Career Development in hosting the inaugural National Career Development Summit and by executing the Career Demonstration Project with our partners in Arizona. The Career Demonstration Project includes our ECAP mentor program where we bring retirees into the classroom to serve as career counselors for students. 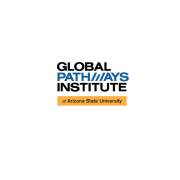 Would you recommend Global Pathways Institute at ASU?